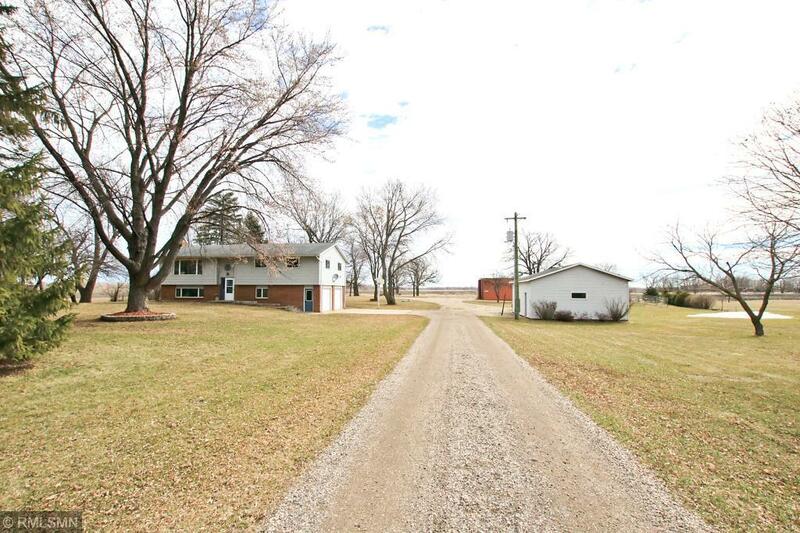 8.7 acres, enjoy country living while being close to town. 1 mile from winery, min. to Hutch, 1 mile from Luce Line Trail. Ready for horses, fenced w/ 2 10x12 horse stalls w/ large riding arena pad w/ sand. Hay cuttings from back grass area easily feeds 2 horses for the year. Pond, beautiful sunrises/sunsets. Beautiful 4 BR, 2 Bath home, main floor laundry. Must See!